Keep the Rez Beautiful keeps doing great things in the Rez area. Below is a photo of their new Dog Waste Station at the Turtle Point Nature Area. 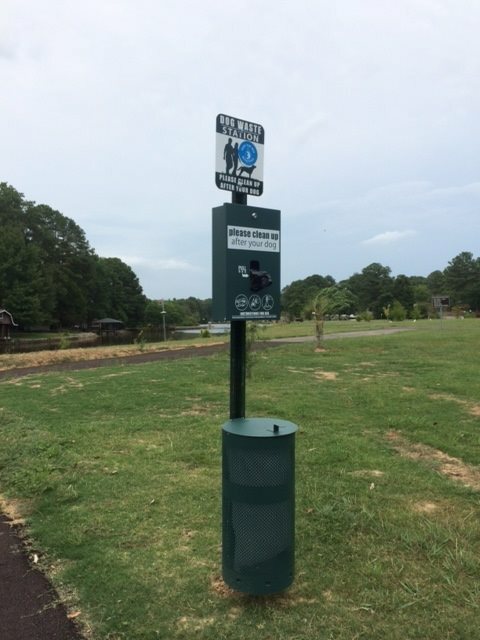 The first dog waste station to be installed around the Ross Barnett Reservoir area is located at the Turtle Point Nature Area on Spillway Rd. between Northshore Parkway and Highway 471. Visit the nature area soon... KRB has been working on the nature area since 2012 to plant trees, a pollinator garden and more! Thanks to other grant funding, PRVWSD added a new kayak launch and walking trail. New benches are being added soon and are being furnished by a Leadership Rankin Team! Thanks to the PRVWSD and the Miss. Dept. of Environmental Quality, more stations are being installed along the 12 mile walking/jogging trail and in other locations. Please help KRB and others to keep the Reservoir clean by utilizing these new stations! It's a best management practice supporting water quality. I'll go a step further and request you help keep the Rez clean by supporting KRB and the work it does.